To all the Brave Souls! Winter can be an awfully gloomy month, with the constant whirling winds and an insistent downpour of rain. It may seem like the perfect weather to climb into bed with a good book or movie and just stay indoors, however, for all those brave souls out there I encourage you to take a step into the outdoors and embrace the beauty of the lightly frosted, rain sprinkled nature. Watch the world around you come alive with vibrant colours and reminiscing smells that are guaranteed to bring out the 5-year-old in you. So, jump into a pair of polka dotted gumboots and marvel at every little thing in nature that captures your eye. 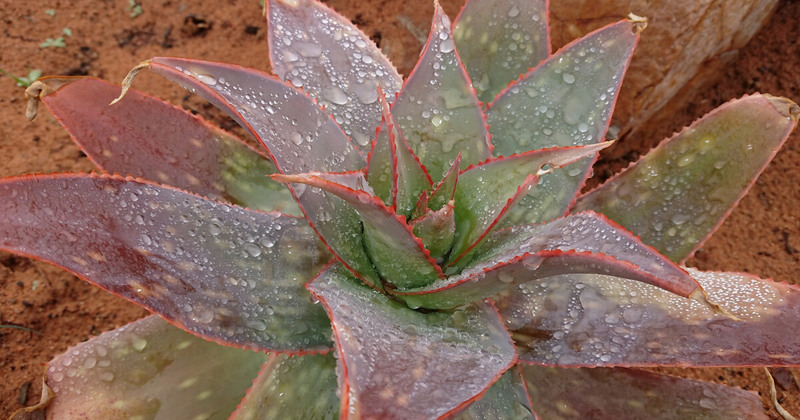 The best thing about the rain on Kagga Kamma (and every little kid will agree) is the puddles. I’m not just talking about ordinary puddles that one might find simply by walking down the road, no these puddles are far more complex and more magnificent than you could ever dream of seeing. They are not mere puddles but in fact stunning rock pools. Now don’t get me wrong they are incredibly fun to splash around in, however, our puddles form part of an amazing seasonal ecosystem. It’s no secret that Kagga Kamma is known for its beautiful weather sculpted rock formations, but what you may not know is that Kagga Kamma actually means place of water. I know what you’re thinking we’ve all gotten a little too much sun. There is water all around us; you just need to know where to look. One such place is these amazing natural rock pools; formed by the ocean, moulded by the weather and designed to hold rainwater for up to a week. These rock pools are not only an important part of the ecosystem allowing for water-dependent animals to migrate over otherwise dry areas, but they also provide a home to the various toad and fish species that turn up seasonally with the rain and make a home in these bigger rock pools and seasonal dams. 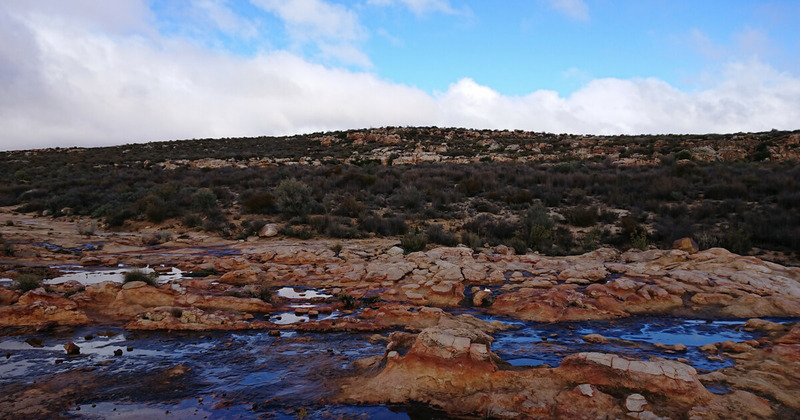 Now as you may know the Western Cape has been undergoing the most severe drought in recorded history, causing massive devastation on every level, with no exception to Kagga Kamma. We receive our water from the Cape so as a result, we have been struggling this past year as well, as the lack of water has taken a toll on our vegetation, and consequently our animals as well. Enjoy nature at its very best.